"An automated external defibrillator (AED) should be considered when selecting first-aid supplies and equipment…With recent advances in technology, automated external defibrillators (AEDs) are now widely available, safe, effective, portable, and easy to use. They provide the critical and necessary treatment for sudden cardiac arrest (SCA)… All worksites are potential candidates for AED programs because of the possibility of SCA and the need for timely defibrillation." The ZOLL AED Plus is the first and only automated external defibrillator (AED) that provides Real CPR Help® for depth and rate of chest compressions during CPR, supporting the entire Chain of Survival, with easy to-understand audio prompts and illustrations. Not pushing hard enough? The AED Plus®will tell you when to push harder. It will even show you the depth of each compression—in real time. 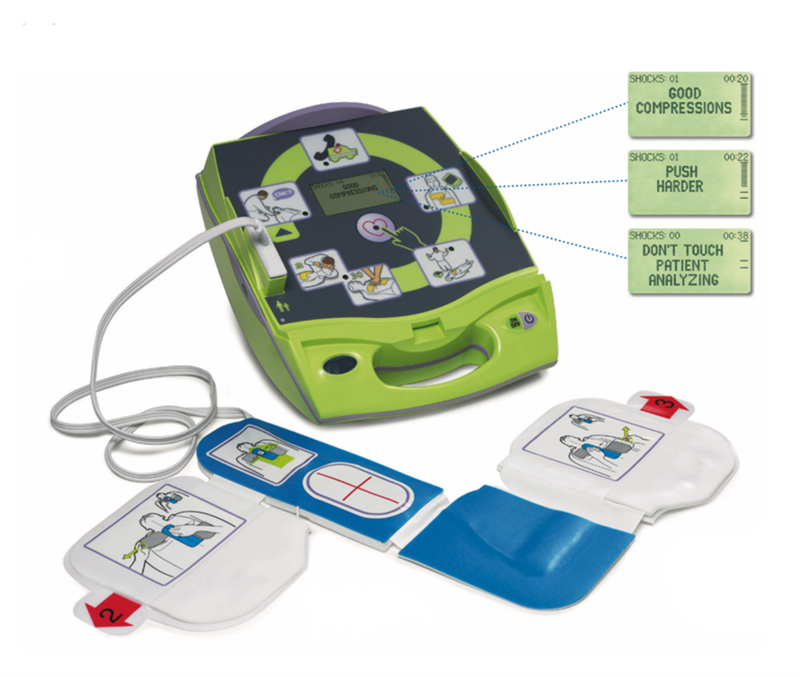 The AED Plus also has lowest total cost of ownership, once installed, because CPR-D-padz and batteries last five years, if not used. Replacing the batteries is convenient since the AED Plus is powered by 10 lithium batteries available from retail stores everywhere. Let Rhyme help you in finding the right AED solution for your workplace. Contact us today to get started on your AED program.